 Dubbelvagn AG AAE "Vos Logistics"
Dubbelvagn AG AAE "Vos Logistics"
Denna produkt ger dig 1696 bonuspoäng. Dubbelvagn AG AAE 'Vos Logistics', längd över buffertar 390 mm, epok VI. 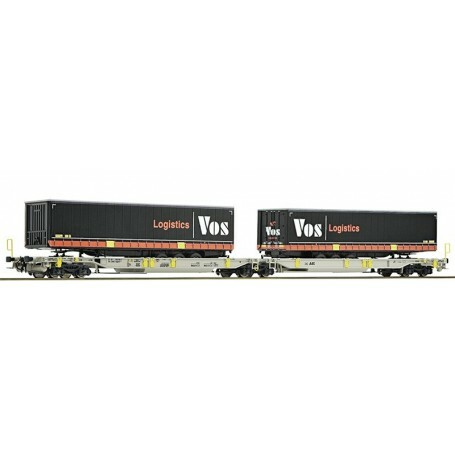 Articulated double pocket wagon of the AAE AG that carries one semitrailer and two swap bodies of the forwarding agency 'VOS Logistics'. Epoch VI.